What to do with all those home grown, locally sown veggies. This is the time of year that I’m itching to get outside during any break in the cold weather and snow to get working on the garden. Usually this starts for me in February, but this year has been so cold and so snowy, it took longer to take hold. Now, however, I’m ready to get started, which means figuring out what to plant, how much of it to plant and what I should start growing indoors. 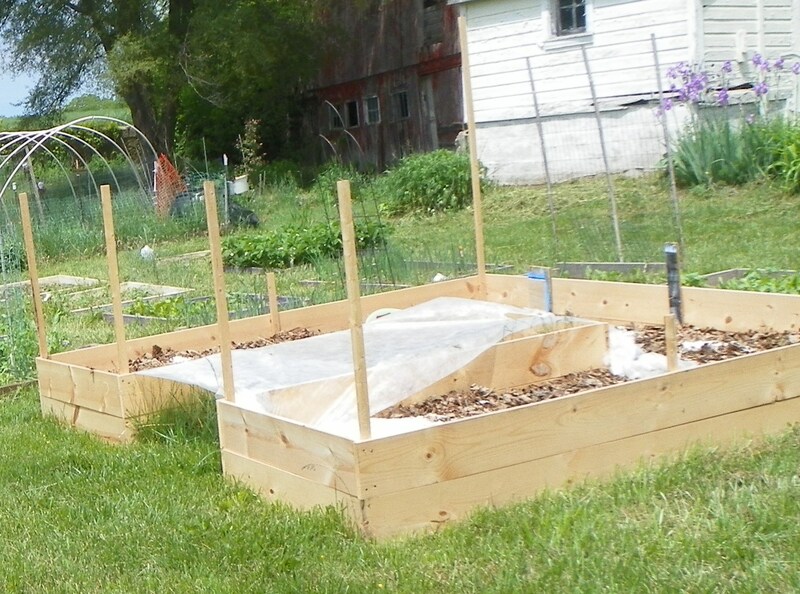 Last year we built a 9′ x 9′ raised garden bed with an isle that has approximately 63 square feet of growing area. Because it got finished late, is was way under used last year and we hope to have better results this year. We’ve been using the Square Foot Gardening method by Mel Bartholomew for many years and really prefer it to other methods. Less weeding, less watering, less space. According to Mel, 4 boxes with 16 square feet each should be good enough to feed 2 people well, probably without much left over to preserve for over winter. Our raised bed is the equivalent of those 4 boxes, less about 1 square foot. In the end it takes up about the same amount of space, however, there is a plan to be able to extend our growing season by adding covering and to add fencing to keep out rabbits and other local moochers. This year we’ll be planting: basil | beans | beets | bok choy | cabbage | carrots | celery | chamomile | cilantro | cucumbers | dill | garlic | kale | leek | lettuce | marjoram | onions | oregano | parsley | peas | peppers | potatoes | radishes | rosemary | sage | spinach | squash | swiss chard | tarragon | thyme | tomatoes | zucchini. There are some of these we’re better at growing than others and funnily enough it’s the ones we like most. Until next time, grow on! This entry was posted in Uncategorized and tagged garden, planning, square foot gardening on March 15, 2014 by jeannethro.